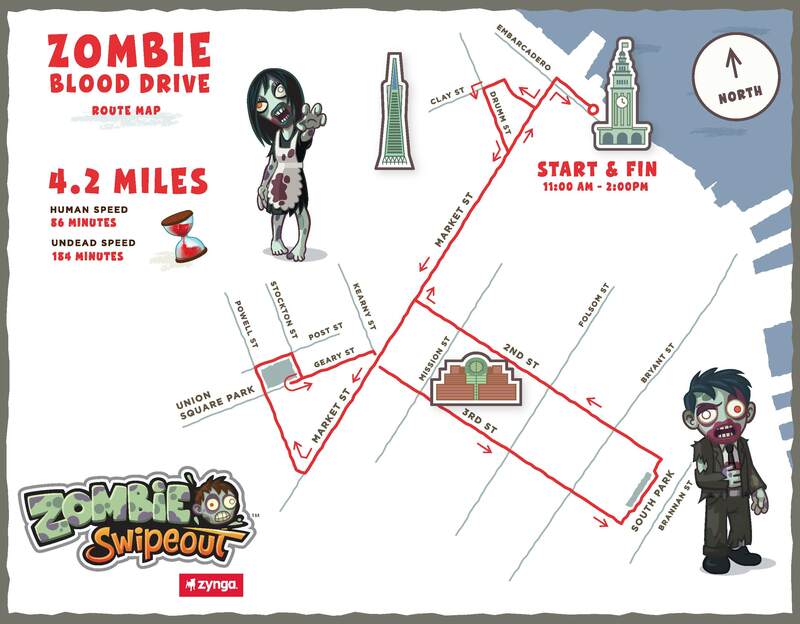 Normally, accepting a blood-colored treat from a disheveled, fly-ridden vagrant means a flying dive into the nearest Starbucks for safety, but this time around calls for special restraint: Social gaming giant Zynga non-accidentally released a 40-(dead)man flock of zombies into both San Francisco and New York City today promoting its upcoming slice-n-dicer Zombie Swipeout for iOS mobile devices. Kicking off during the magically empty space between your bleary morning commute and takeout lunch break, the shambling street team will spend three hours on a “blood drive” involving handing out mint-flavored blood pops (calm that queasy stomach: the pops contain just lime juice, mint, and cane sugar), a lot of moaning and grasping motions, and a creeping trek through each city’s downtown area. 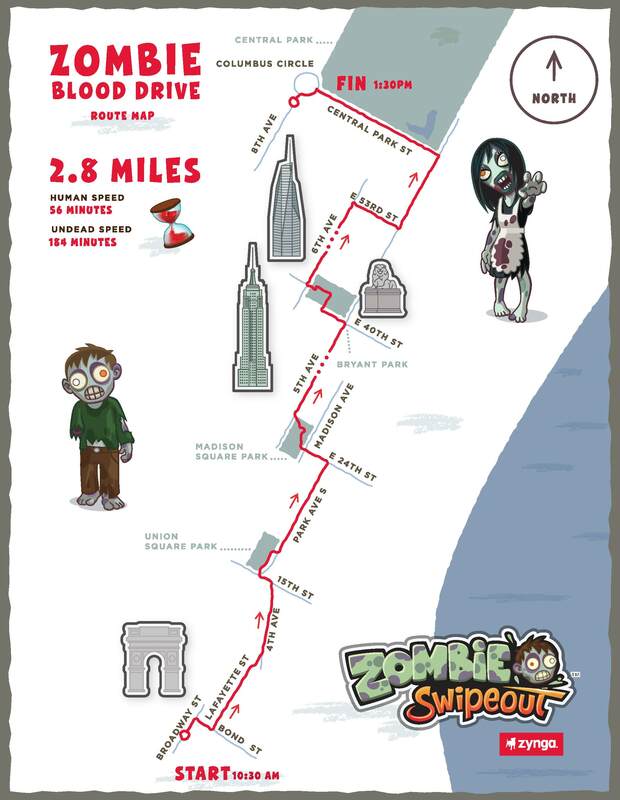 Starting at 11 a.m. PST in San Francisco, the horde will loop around Market Street while detouring on Drumm Street, South Park, and Union Square Park for maximum freak-out factor for us normals. Need a map? Right here. Manhattan’s rotting crew hunts for candyless victims at 10:30 a.m. EST within Union Square Park, Madison Square Park, Bryant Park, and Central Park’s Columbus Circle. Get a map here. Familiarize yourself with Swipeout’s denizens in the gallery below, and make sure your Z-day kit remains locked up tight at home for these friendly freaks.